Each of these variants are covered in detail elsewhere on this site. By far, Texas Hold’em is the most popular. At the top online poker rooms, most of the table traffic gravitates toward holdem. The other four games are less popular, but just as engaging for many poker aficionados. Even if you understand how to play the individual games, playing H.O.R.S.E. poker may seem odd at first. As the game rotation changes, so too, must your short-term strategy since each poker variant poses unique challenges. Below, we’ll give you a quick overview of how Horse poker is played, and provide a few tips to get you started in the right direction. It’s worth noting that none of the top poker sites currently offer no download Horse poker. However, we’ll profile highly recommended online poker rooms that offer the game through their software. Horse is played with a fixed limit betting structure. The limits are maintained for each variant. For example, a $2/$4 table means the limits are held at $2 and $4 for holdem, Omaha Hi/Lo, and the other three variants. Also noteworthy, because Seven Card Stud is typically limited to eight players, single table Horse games are also limited to eight players. We mentioned earlier that the game is played as a rotation of five variants (holdem, Omaha Hi/Lo, Razz, Stud, and Stud Hi/Lo). While this rotation is consistent at all sites, the timetable may vary. For example, at PokerStars.com, each variant is played for eight hands before a new variant is played. That is, eight hands of Texas Hold’em are played, followed by eight hands of Omaha Hi/Lo, and so on. 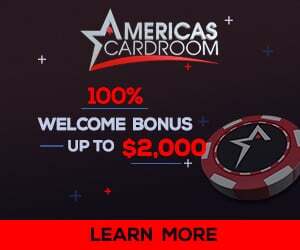 At AbsolutePoker.com, however, the variant changes when the blinds are raised. At FullTiltPoker.com, the variant changes every ten hands, regardless of the blinds. As a side note, you can find the rules for each variant used in Horse elsewhere on this site. Identify your weak games. Shore up your weaknesses before hitting the tables. You don’t have to play each variant like a pro (it helps if you do, of course), but you should be able to avoid simple mistakes. Another tip: play more aggressively in the variants in which you’re strong. Pull back in those you’re weak. For example, if you’re a strong holdem player, push the other players around if you’re able to do so. If you’re weak on 7 Card Stud Hi/Lo, ease up your game and conserve your chips. When the rotation lands on holdem again, go in strong to build your chip stack. You’ll notice that being an effective Horse poker player depends heavily on being able to change your strategy through the rotation. That takes a lot of focus, especially when the hands are moving quickly. So, stay alert. H.O.R.S.E. poker requires focus and skill while playing multiple poker variants. If you have never played Horse, visit the online poker rooms above to test the waters. Like a lot of other players, you may find that you enjoy the unique experience.